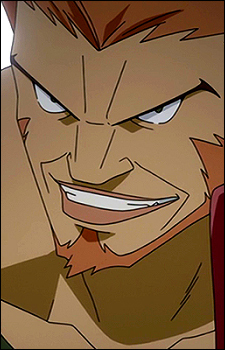 Cannon is a member of Carbuncle who appears in Fairy Tail: Priestess of the Phoenix. Like his fellow Carbuncle Mages, Cannon has a certain amount of pride and arrogance. He has a tendency to lick his lips when engaging an enemy in battle. Cannon makes use of Guns Magic in conjunction with his cannons (one hand-held and several floating around his shoulders) in battle. His weapons fire Magic Bullets, which are capable of damaging Juvia's Water Body.